After a phenomenal year here at Recoverworld Towers, we are delighted to bring you some of the many highlights of the year from the hugely talented crop of producers that we are fortunate enough to work with. This album contains 80 tracks of the very best trnce from across the labels moving through the gears from chilled trance vibes up to full on tech trance mayhem. Throughout the year these tunes have been supported by many of the best DJ's in the business including Armin van Buuren, Aly and Fila, Paul van Dyk, Sean Tyas, Greg Downey and John Askew to name just a few. We are proufd of our artists and the labels that we work with and this collection - over 8 hours of music - highlights some of the very best. 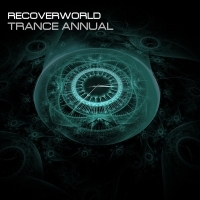 Start the year in style with the Recoverworld Trance Annual.